The throttle body on the Peugeot 306 GTI-6 (XU10J4RS engine) is relatively easy to remove for cleaning or repair. These engines are quite old now and many of them will have a lot of grime build up around the butterfly valve which can lead to idle and throttle response issues. This labelled photo shows the important sensors/parts and is useful if you are thinking of removing it. 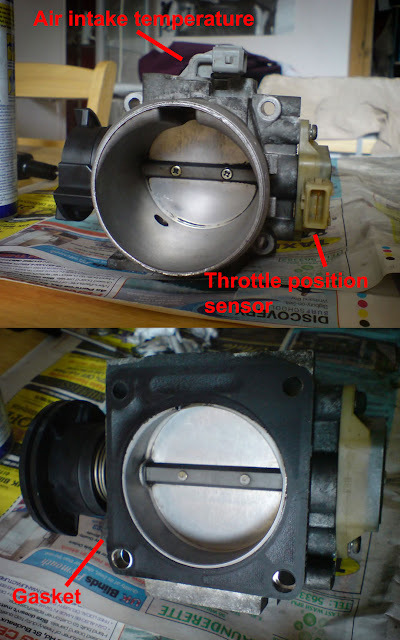 Note: The paper gasket is very fragile and I advise you have a new one ready before removing the throttle body.